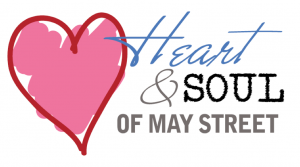 The Heart & Soul of May Street Gala is a fun night of fundraising, live music, silent and live auctions, Heritage recognitions, and a delicious meal. The proceeds help the West Broad Street YMCA continue to provide services that enhance the lives of our youth, families, and the community. Please take advantage of this opportunity to support this amazing evening.